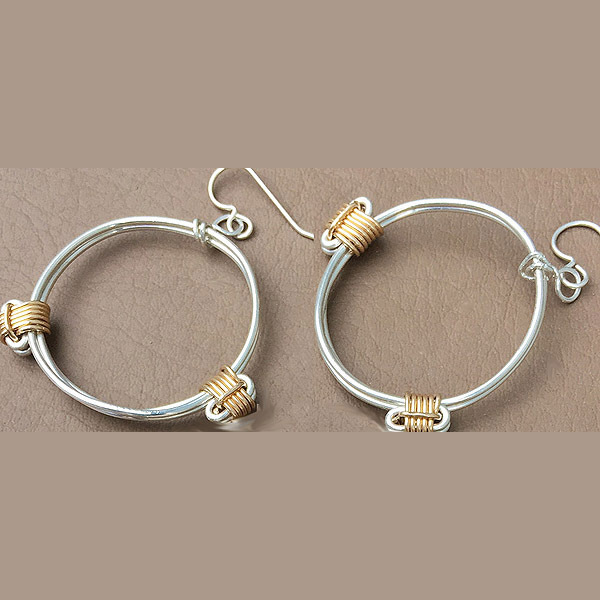 Simba elephant hair knot earrings in Argentium 935 sterling silver to match your silver and gold bracelets. 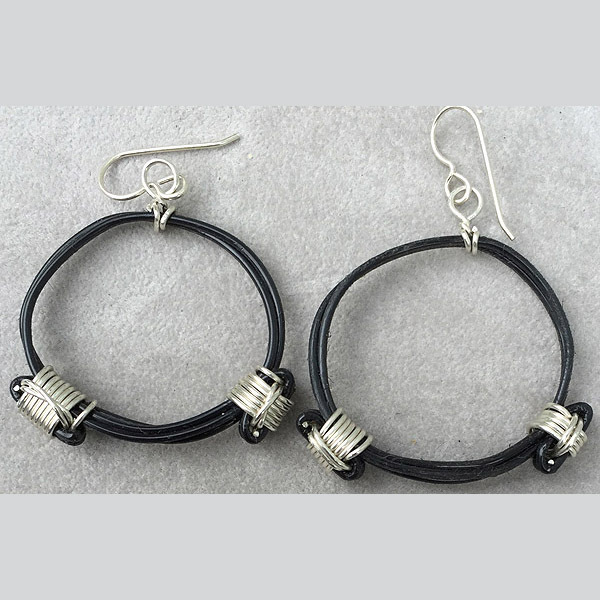 These cute earrings are in the exact same style as our popular elephant hair bracelets. 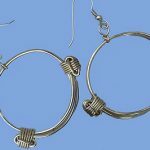 Here we only use two strands of silver wire (but fully rounded wire) and bind it with 14KY/20 gold fill knots. 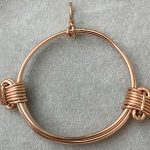 Each set is unique as they are handmade but will be very similar to the picture shown here. 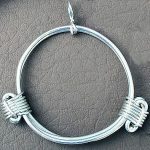 Approx 2″ across (5cm) but the sliding knots do work so you can make them a little smaller or larger. Tarnish resistant Argentium 935 sterling silver so you will seldom have to clean them.